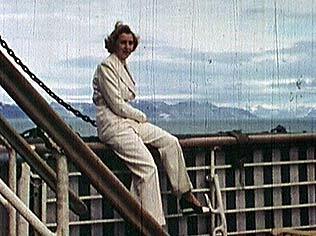 February 6, 1912: Eva Braun is born in Munich, Germany. 1928: Attended Lyzeums. One year commercial education in a monastery with Simbach at the Inn. 1929: Eva Braun first met Hitler in the studio of his photographer friend, Heinrich Hoffmann. At the age of just 17, Eva Braun slipped a love letter into Hitlers pocket. 1931: Eva Braun became Hitlers mistress, living in his Munich flat. 1932: Eva tries to kill herself. Hitler then buys her a villa in a Munich suburb, and provided her with a Mercedes and chauffeur. 1935: Eva attempts a second attempted suicide. 1936: Eva Braun moves to Hitler’s Berghof at Berchtesgadefl. Eva and Hitler rarely appear in public together, few Germans even knew of her existence. 1945: Eva Braun joins Hitler in the Fuhrerbunker, as the Russians closed in on Berlin. She declined to leave. 29 April, Hitler and Eva Braun married. The next day Eva Braun committed suicide by swallowing poison. On Hitler’s orders, both bodies were cremated with petrol in the Reich Chancellery garden. Her charred corpse was later discovered by the Russians. Her mother, Franziska, who lived in an old farmhouse in Ruhpolding, Bavaria, died at the age of ninety-six, in January 1976. Reading cheap novels, exercise, and cinematography were some of Eva’s favorite past-times. She was also obsessive About her appearance. As a blonde, slender, athletic young lady, Hitler was instantly attracted to her and persistently kept her under the supervision of the Nazi Party. Although he loved her, he was very controlling and never wanted a secularly known relationship. Eva acted as if she was his hostess at parties and was never politically involved. Obviously, she did not know About most of what happened. Eva stated of Hitler, “And if he declared tomorrow that the sun moves round the earth and not the other way round, the whole of Germany would believe it at once.” He was mightier than God.” Also, she said, “Better that 10,000 others die than he be lost to Germany,” to her friends. 1929: Eva Braun first meets Hitler in the studio of his photographer friend, Heinrich Hoffmann. At the age of just 17, Eva Braun slips a love letter into Hitler’s pocket. 1931: Eva Braun becomes Hitler’s mistress, living in his Munich flat. 1932: Eva tries to kill herself. Hitler buys her a villa in a Munich suburb, and provides her with a Mercedes and a chauffeur. 1935: Eva attempts a second suicide. 1945: Eva Braun joins Hitler in the Fuhrerbunker, as the Russians close in on Berlin. She declines to leave. April 29, Hitler and Eva Braun marry. The next day Eva Braun commits suicide by poison. On Hitler’s orders, both bodies are cremated with petrol in the Reich Chancellery garden. Her charred corpse is later discovered by Russians. Braun’s mother, Franziska, who lived in an old farmhouse in Ruhpolding, Bavaria, dies at the age of 96, in January, 1976.